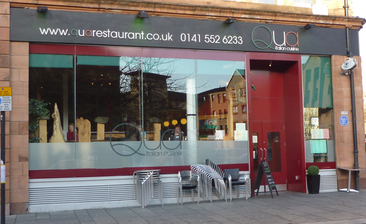 I have been to Qua several times now & I'm never disappointed! Tonight I had the sauteed mushrooms & risotto - both lovely. My dad had the minestrone soup followed by the Stroganoff... I tried both & again, both lovely (I will order the Stroganoff next time - it was really yummy). My mum was also very pleased with her lasagne. Lovely & efficient staff & nice atmosphere! Qua offers the BEST value for money I've ever come across! Highly recommended!